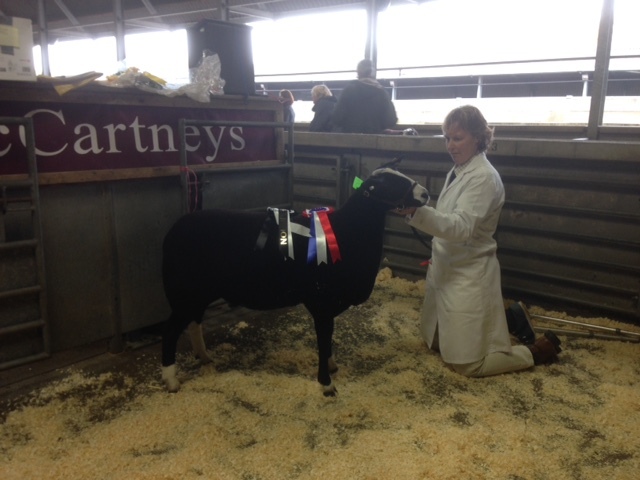 Our first Midlands Zwartbles Group Show and Sale at McCartneys on Saturday 7th November. Good entry of very nice sheep all healthy and vigorously inspected. The Show was judged by Ashton Selway with 3 classes of sheep. Thank you to the entrants and many thanks to Ashton Selway for judging. Congratulations to Rob & Vicky Grinnall for Champion - Beech Hay Carat. non MV flock ewes average £85, non MV senior ram at £80. 9 sheep failed to make reserve. Great atmosphere and everyone enjoyed it - lots of emails since and want to do it again. Suspect we will but earlier 2nd or 3rd weekend in October.